Zojirushi has emerged as a premier manufacturer of bread machines. 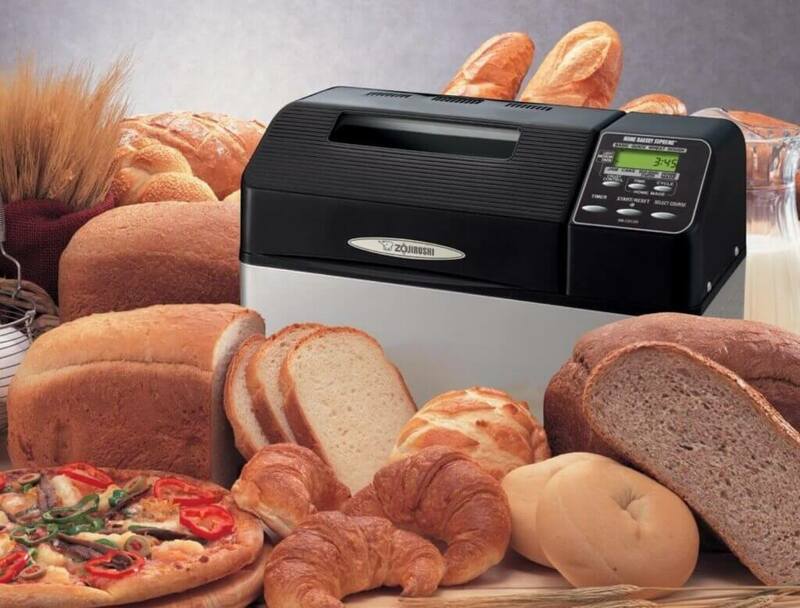 They tend to be at the highest end of the bread machine price range, offer a wide range of features and are known for quality, dependability and excellent support. What’s curious about this comparison review is that we’re looking at two machines from the same manufacturer for essentially the same price and almost identical benefits and features. After doing a deep dive, we have found some differences in terms of benefits and limitations but it’s a very close call. 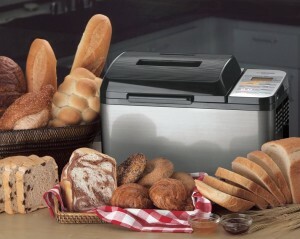 Both of these bread machines offer a horizontal loaf pan. 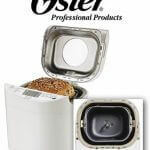 This allows you to bake a loaf similar to the size and configuration you would find in a bakery or at a grocery store. Another recurring feature with Zojirushi is the weight of the machines. Both are heavyweights and weigh in at more than 20 pounds. A reported benefit of this heft is a stable machine that does not “walk” across the counter-top during the kneading cycle, and a surprisingly quiet machine in both instances. They also feature dual kneading paddles. These are necessary with a horizontal loaf configuration to effectively mix and knead the dough and reportedly do a better job of blending and kneading a better textured loaf. There are some complaints about the duel kneading paddles in both machines producing a lop-sided loaf, but Zojirushi advises paddle alignment and physical rearrangement of the dough if that occurs. The chart below isolates many of the features and they all seem to represent the kinds of features you would expect on many high-end bread machines. A notable omission on both machines is the lack of an automatic fruit and nut hopper. This allows you to set the machine to automatically add fruit or nuts rather than waiting for a beep during the kneading cycle to add these ingredients. Both machines are about the same size in dimensions although the BBCEC-20 is a little smaller. If counter space is at a premium the smaller dimensions might help. 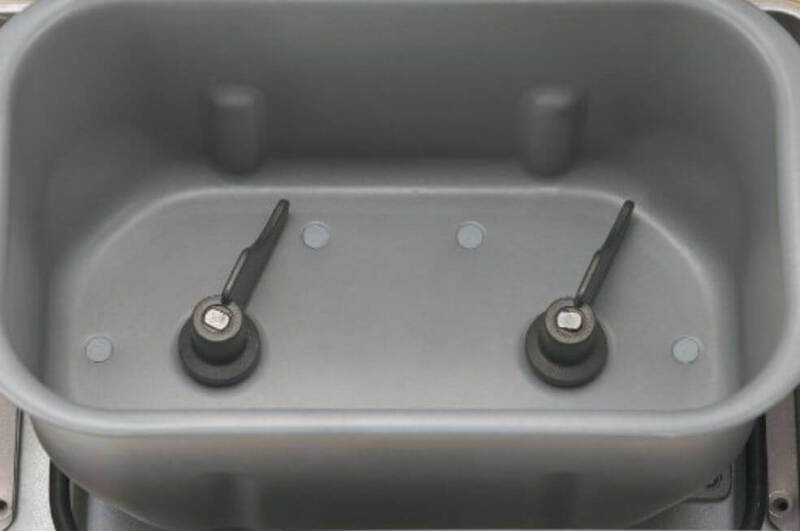 Both also feature bread pans with a non-stick coating described as PTFE. Upon further investigation we discovered that this is a trade designation for a type of Teflon. Both machines feature a viewing window in the lid but the BBCEC-20 has an internal light that you can switch on and off to make it easier to see what’s going on in the machine during mixing, kneading, rising and baking cycles. This is actually a significant benefit. Lifting the lid during some cycles, especially rising and baking, can cause the dough or the loaf to fall or collapse. There’s not way to recover when this happens and the ability to monitor progress without lifting the lid is a genuinely good idea. It’s a fair fight on settings with both machines offer a range of 10 standard settings and 3 programmable settings. Both offer jam and jelly options plus setting for gluten free, whole wheat, dough cycles and other bread cycles. The BB-PAC20 has a top browning element that is designed to ensure a golden, brown crust. According to owner it works and if you’ve ever had trouble with any bread machine and browning this is one of the few that offer this benefit. There were no complaints about browning with the BB-CEC20 but unless you compared both machines side by side it would be hard to know. Some owners of the BB-PAC20 complained about the short, 3 foot power cord. 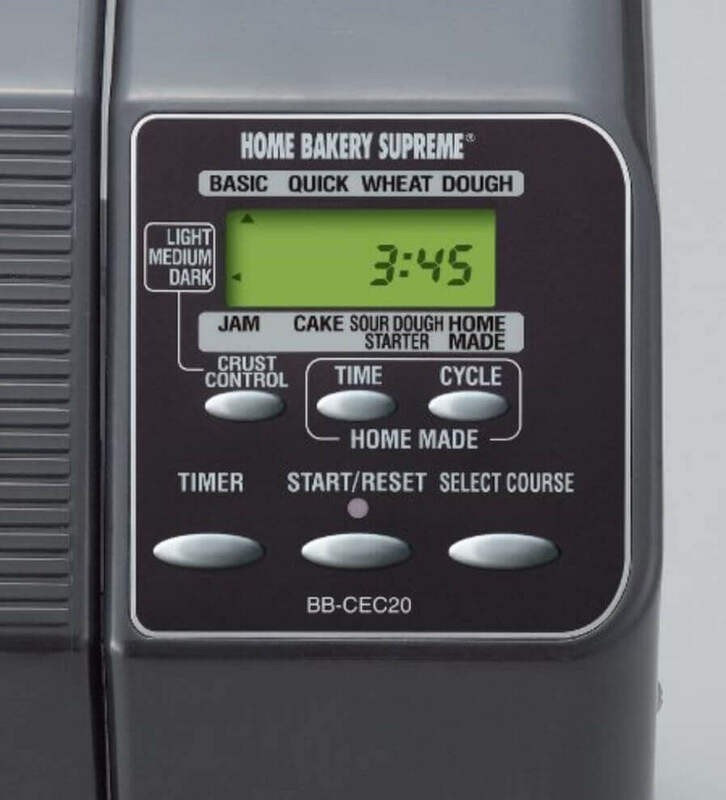 While there are no mentions of the cord length problem with the BB-CEC20, it’s a fact that most bread machines have a 3 foot power cord. This is largely due to the fact that many bread machines draw high wattage and amps across cycles and a shorter cord does not over heat or provide as much electrical resistance as a shorter cord. You could always use and extension cord to extend the length, but make sure it’s a heavy duty cord. Both machines receive equally high marks for service and support which should come as no surprise given they both come from the same manufacturer. Both also have a 1-year limited warranty. And Who Does Mom Like Best? The Zojirushi BB-PAC20 comes out on top and it’s slightly cheaper. The Customized settings for gluten-free and the top browning element are significant benefits. The BB-CEC20 is also a very good machine, but if I was going to invest in a premium-priced machine I’d go with the Zojirushi BB-PAC20 to get the added benefits. And the BB-PAC20 Virtuoso is the one with Gluten Free settings. We are sorry for the incorrect info! About the prices – we take them from Amazon. But since the sellers change the prices on a regular basis, we write “estimated price”.